For the Proposed Solution we are proposing the Freeware light SIP – Server which besides acting like the normal Sip Server and Registrar can also act like the Translator Engine to convert the SIP over WS message to SIP over UDP. 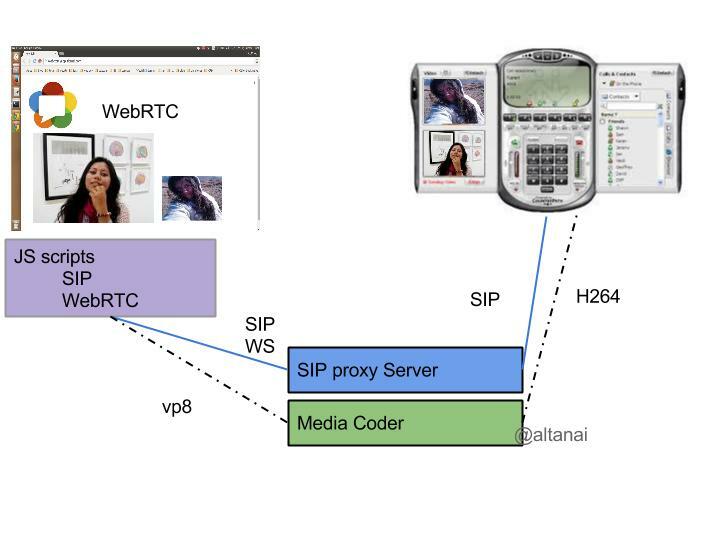 As one of the requirement we need to terminate the call on the hard-phone like Turret which supports only SIP over UDP we need to have the translator in the overall picture which can convert the SIP over WS request to SIP over UDP. Through this component the use case like initiating the call from the web Browser the terminating the call at the Hard-phone is possible. We are using the Boghe IMS client to act like the Soft phone which supports the Audio Codec required to talk with web Client like PCMU And PCMA audio Codec. Working on the discussed Components we have successfully established the following Use- Case Scenario. (b) Media Part – SDP is being exchanged as capture by Wire-shark and both the client can exchange Voice. (b) Media Part – SDP is being exchanged as capture by Wire-shark and both the client can exchange Voice but have some dependency on machine being used. Call initiated from the Softphone and Terminating on SoftPhone. (b) Media Part : No hiccup its working fine. The structure for multi network traversal using ICE – STUN and TURN is described in the following diagram . You can read more about NAT traversal using STUN and TURN here . 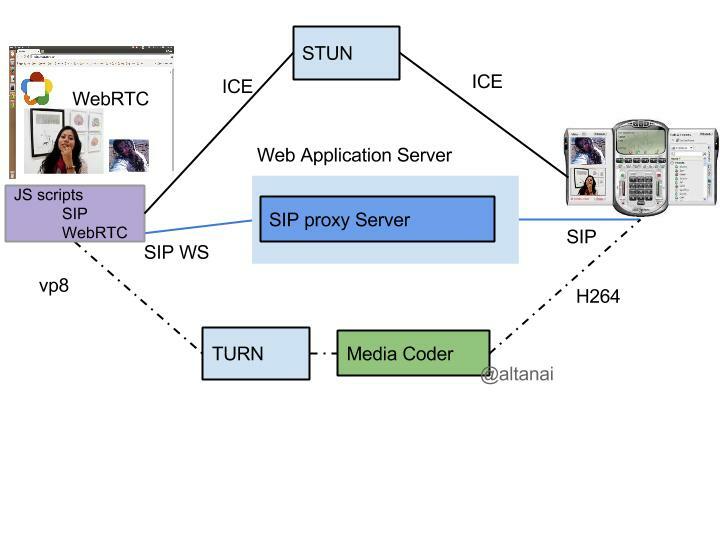 Detailed TURN server for WebRTC – RFC5766-TURN-Server , Coturn , Xirsys is here . This entry was posted in webRTC. Bookmark the permalink.